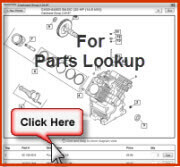 I order a lot of parts for various jobs I do from the web. I have to say OPE Engines is the best! Super fast shipping, amazing how fast the parts get here, and pricing is great! Keep it up!